My first love was as a clinical nurse educator, which involved some lecturing but the majority of teaching was at the bedside. Hands on with the new trainees, I was committed to promoting kindness, compassion and excellence in their care, and in my teaching to help the new nurses to wonder at the make-up and function of the human body. Teaching anatomy and physiology was my specialty. After a period of time, I was moved back to NSW and became the Principal Nurse Educator at St Joseph’s Hospital, Auburn. In 1971, the Nurse’s Registration Board gave approval of Auburn District Hospital and St Joseph’s carrying out a con-joint theoretical program for second year nurses with educators and doctors from both hospitals involved in the teaching. This was an initiative of Sr Irene Crockett rsc and Heather Tupper, Auburn District Hospital. In 1979, the decision was made to include all nurses and I became part of the teaching team. The final intake of student nurses was in February, 1984 and these students were the graduands in 1986, the Centenary year of St Joseph’s Hospital. I was very proud to be part of that historic moment in nurse education in NSW. In 1985, Nurse Education moved into Colleges of Advanced Education. Nursing became part of college degree programs emphasising education first so that practice could be more informed. Nurses were no longer apprentices learning on the job. After 12 years, and still at St Joseph’s Hospital, Auburn I found myself in the world of palliative care – a ministry I would be in for 20 years. St Joseph’s Hospice (pictured) had been established at Parramatta in 1886 to care for sailors terminally ill with tuberculosis from St Vincent’s Sydney. 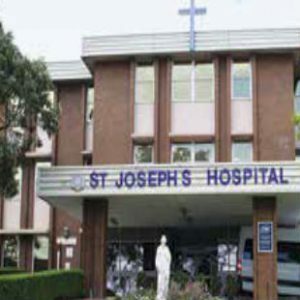 So strictly speaking, St Joseph’s Paramatta was our first hospice in Australia. Sr Carol Pedersen rsc did a feasibility study to see if a palliative care service was needed in the western suburbs of Sydney. Services at that time were almost nonexistent between Sacred Heart Hospice Darlinghurst and the west. I loved being a nurse. I saw it as a vocation within a vocation. 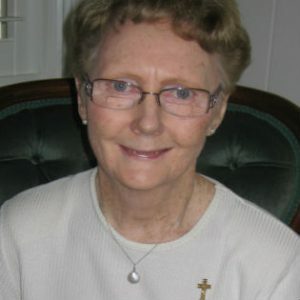 Not long after I graduated, and with the encouragement of others in the field, I stepped into the world of nurse education at St Vincent’s Hospital, Toowoomba in the early 1970s. I partnered with another educator and organised a program of Education in Palliative Care. Content was appreciated, as was the support given during that 12 months. The Palliative Care Ward was ready to go. The need was there. It is now flourishing in excellence of care. The word palliative means cloak. All those who attend a dying person can do nothing to cure them but can do much in bringing comfort like a protective cloak around them. That is how I saw my ministry of care of the dying – wrapping the cloak of love and comfort around them by my words and actions and faithfulness to the dying person and their families. A patient I visited at home said it all. I was speaking with her in her bedroom and her daughter came in. The dying lady introduced me to her daughter saying “This is Regina. She is from ‘palatable’ care!” There is a lot of truth in this simple, unconscious slip. So my ministry then for 20 years was in the area of community palliative care in a time of great change in the delivery of palliative care, especially in Melbourne. I began with Caritas Christi and Order of Malta Hospice Home Care, Kew, which, with all the changes, became Eastern Palliative Care in the early nineties. After 10 years, I joined Melbourne City Mission Community Palliative Care. I enjoyed every minute of ministering to the spiritual needs of patients and families and being the Spiritual Carer on an interdisciplinary Palliative Care Team. I had a role to play in educating staff, volunteers, outside agencies,peers in the field, and local communities in spiritual care of the dying and in bereavement care. And conducting rituals where appropriate. My ability to teach stood me in good stead. Spiritual care of the dying was the reason Mary Aikenhead wanted places built to give them the spiritual care they required. 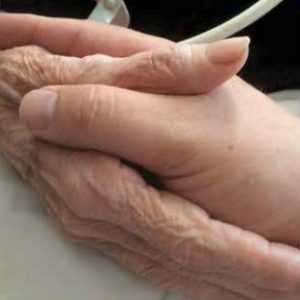 palliative care was built on spiritual care, although spiritual care looks quite different today. We respond to each person’s culture and spiritual/religious needs wherever possible. Now we can see there is such a thing as spiritual pain (Dame Cecily Saunders, pioneer of modern palliative care, coined the phrase) which can affect a dying person’s total pain. Spiritual care has found its place in the total care of the dying and the Sisters of Charity remain committed to spiritual care in the healing ministry. Spiritual Care of the dying was the reason Mary Aikenhead wanted places built to give them the spiritual care they required. Our Lady’s Hospice Dublin 1879 (pictured) , was the first Hospice in the modern world. 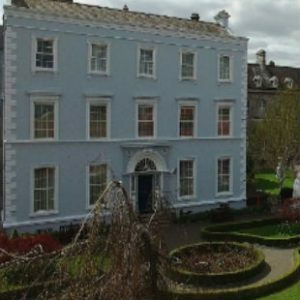 It opened 21 years after the death of Mary Aikenhead, in the convent where she died. The success of Our Lady’s Hospice led the Congregation to establish the Sacred Heart Hospice in Sydney in 1890 – the first in Australia and from there followed other hospices in Melbourne and Queensland. The Sisters of Charity remain leaders in palliative care in Australia. Now my experience in nurse education and palliative care helps me in parish education in the area of palliative care and bereavement care.